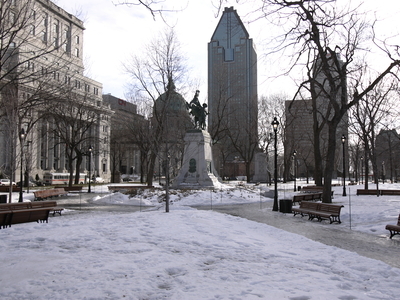 Last week, Montreal’s mayor announced that Dorchester Square and Place du Canada would be added to the city’s list of heritage sites. The nomination will help in the preservation and the development of architectural, urban and landscape qualities of the square. Dorchester Square was once a Catholic cemetery, later transformed into a public park. In 1872, it was given the name Dominion Square to commemorate the Canadian Confederation of 1867. At the end of the 19th century, prestigious buildings were built along the square like the Windsor Hotel and Windsor Station. Today, the square is open to the public 24 hours a day and forms a focal point for pedestrian traffic in the city.